Granby Toxteth Development Trust: Nothing to do this St. Patrick's Day?? Nothing to do this St. Patrick's Day?? 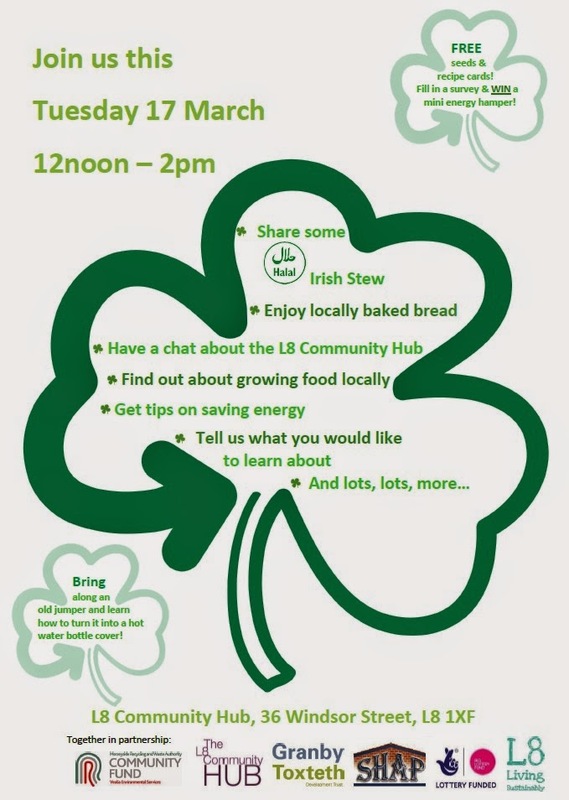 Why not pop along to the L8 Community Hub on Windsor Street and join us for some Irish Stew, grab yourself some growing and energy freebies and have a chat about what you would like to see happening in the Hub as well!